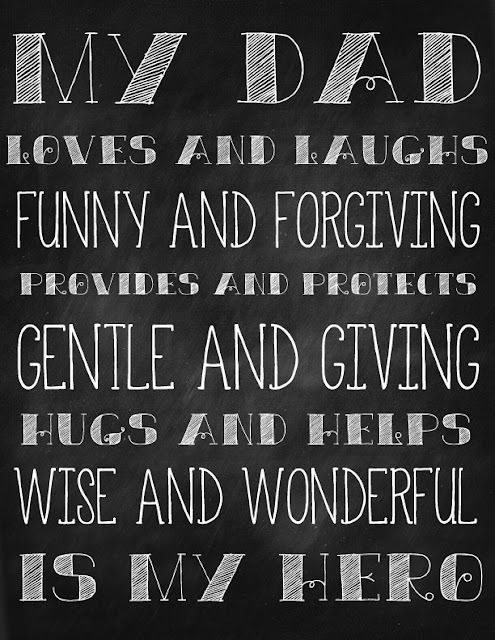 Father's Day is only a few weeks away, which I have been reminded of since my Pinterest feed has been full of Father's Day projects and printables. Looking through all of the pins, I was a little disappointed at the selection. 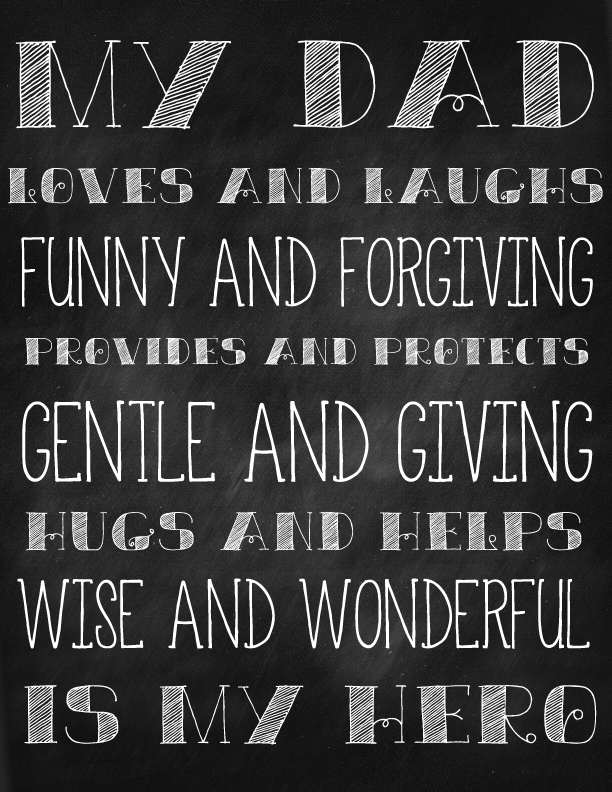 I love a good chalkboard printable, but there were none to be found for Dad's Day! So, I made one...hope you like it! Click on the link above to be taken to Google Drive. Click on the arrow in the top left of the screen to download. Printable is 8x10", but will print out well in a smaller size too. Do you have a tutorial on how to make a chalkboard printable?